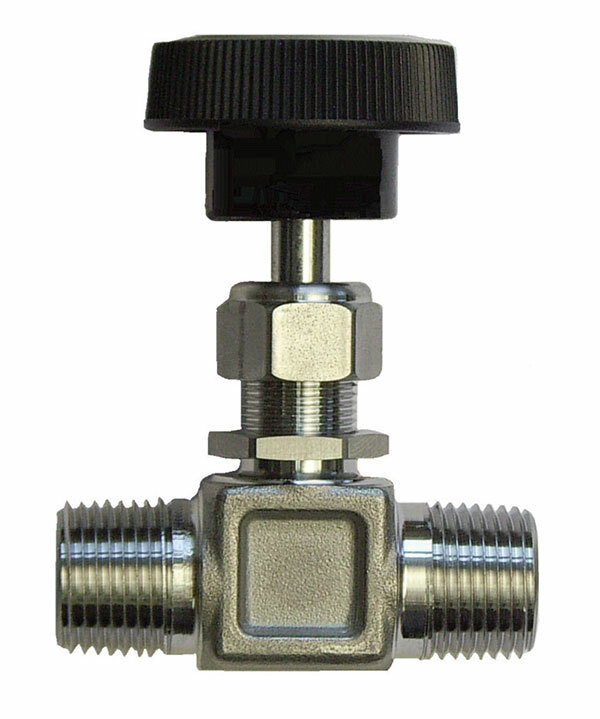 These valves are used in a wide variety of industrial and laboratory applications. They offer excellent flow control and both the brass and stainless steel models have Teflon® packing. Check valves prevent the return flow of gas, thus keeping foreign substances out of lines, regulators, and cylinders located upstream of the valve. 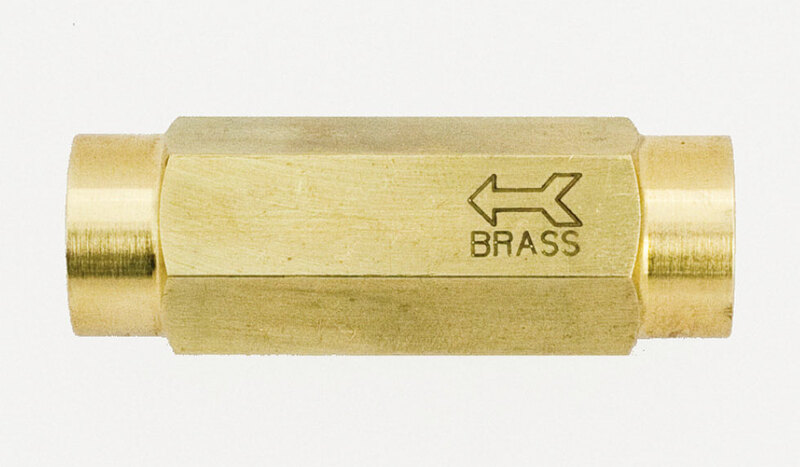 These valves are a spring loaded design with the spring on the high pressure side to protect it from foreign substances. The positive stop prevents over-stressing of the spring by sudden surges of gas pressure. An o-ring at the valve seat provides quick, efficient sealing. Note: Check valves with other o-ring materials are available.